Tomorrow marks the start of the three-day New York based summit at which the United Nations’ Sustainable Development Goals (SDGs) will be officially launched. The global health community has long been aware of their pending introduction, transforming and reconfiguring models put in place by the Millennium Development Goals (MDGs) fifteen years ago. The SDGs were first borne as outcomes from the 2012 Rio+20 Conference with associated The Future We Want document, and their structuring and identification has been on the international agenda ever since. It is unlikely that these targets are widely identifiable or recognised by the general public, not least one which has been inundated with potentially inaccessible labels (Millennium Development Goals offers no notion scope nor duration), with SDGs another acronym in the bureaucratic health professional’s toolkit. But the SDGs must prioritise active reception by the community who envisaged and proposed them: international health leaders and organisations. The general public are of secondary concern in the dissemination of the materials and projects associated with these goals. A lesser acknowledged, and unfavourable reality ahead of this week’s summit, is that for many in the global health community, the SDGs represent yet another set of paper goals, with accompanying attitudes of scepticism as to their benefit, novelty and effectiveness in terms of time and resources. Of course, the shapers and movers of global health cannot be uniformly branded with this attitude, but pervasive symptoms of it are identifiable in precursors to these goals. In early July, UN Secretary-General Ban Ki-Moon released the final report on the progress of the Millennium Development Goals (MDGs). The review found significant progress across goals, notably in the world’s efforts to combat malaria, with deaths at an all-time low and 6.2 million lives saved since the start of the Millennium. Speaking at the event in Oslo, Norway, Ki-Moon highlighted: ‘the report confirms that the global efforts to achieve the Goals have saved millions of lives and improved conditions for millions more around the world’. However, the review was largely overlooked by those to whom it was targeted. The analysts had already played their role, offering statistics that figuratively marked diseases in the red or green in terms of their relative success in meeting the indicators of the MDGs. 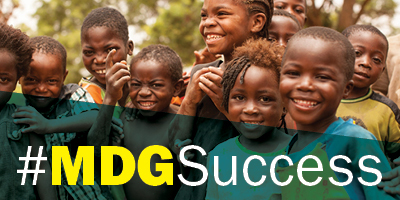 However, their was a stark lack of coverage by the participants and protagonists of the MDG action points themselves. Even in the case of success stories such as malaria where targets were historically surpassed, recording a 69% decline in the rate of child deaths from the disease in Sub-Saharan Africa, the two sole published messages relating to this were from Malaria No More and Roll Back Malaria in a piece penned during my internship. This remarkable progress was largely due to a tenfold increase in international financing for malaria since 2000, along with strengthened political commitment and the availability of larger-scale, pioneering tools such as diagnostic testing and artemisinin-based combination therapies. This has substantially increased access to malaria prevention and treatment interventions. 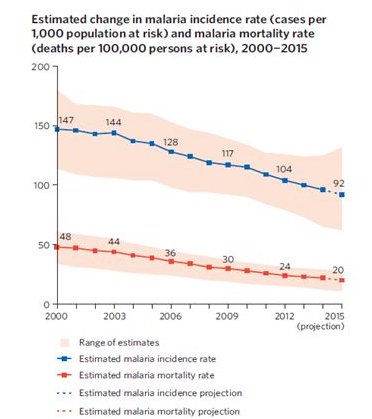 Over the past 15 years since MDG 6 was conceived, global malaria incidence has fallen by an estimated 37 % with a 58 % decrease in mortality rate [see Figure 1]. Notwithstanding that this data warrants exposure, perhaps one of the reasons that coverage of the official expiration of the MDGs was limited is because figures are projected to the end of 2015. Many professionals are aware of the watered-down credibility of using such hypothetical statistics to qualify supposed success stories. Perhaps also, active partners are aware that even in instances where results exceeded the MDG target, the fight against disease, inequity and access to healthcare is far from over. The global health community must be reinvigorated and be able to act critically and broadly to fully capitalise on the frameworks the SDGs will offer. Speaking in a conference call with the Roll Back Malaria Secretariat, Tim France, Managing Director of Inis Communications identified the need to spark ‘the global health community, making them realise the full potential and fresh approach of the SDGs’. Final draft reports of the SDGs have already been released which offer a clear, and surely immobile picture of what these 17 targets will look like. The SDGs diverge from the MDGs in terms of aspiration, content and scope. Drawing on wider and long-established models in two threads, the proposed goals canvas development of natural resources and environment while also accommodating pivotal anthropological and diversity considerations. 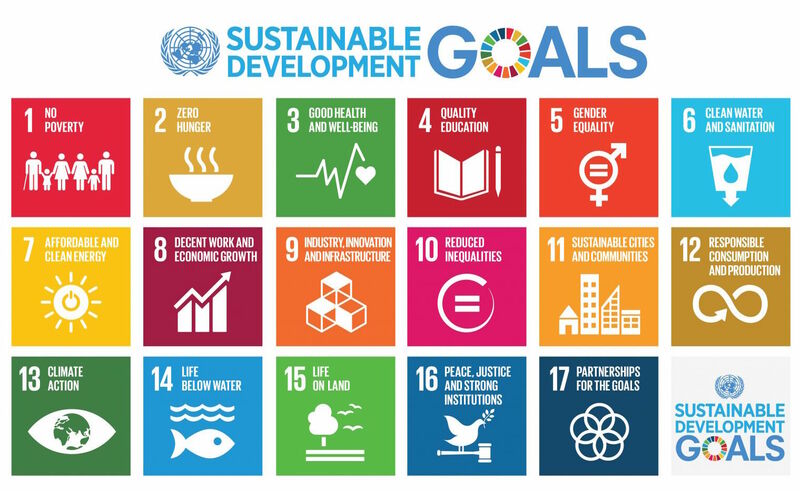 Combining both analysis and standardised methods, the SDGs prioritise a multisectoral approach to tackling current and future international health concerns and crises. While interning at Roll Back Malaria, my on-going project was to compile appropriate and compelling communication messaging to closely associate malaria with the SDGs. As the nexus of social and health related projections and ambitions for the near future, there is congestion amongst disease and partner profiles wishing to secure their association with the demands and commitments required of the SDGs. In many ways, this feverish work designed to gain a platform indicates that the global health community is willing to reenergise and ensure they #LeaveNooneBehind. Certainly, the fight against malaria is not over. The disease still poses a major health security challenge with an estimated 3.3 billion people at risk globally. A multi-sectoral approach is essential moving forward, to secure the progress that has been made up to this point. Ki-Moon emphasises that ‘the year 2015 is a landmark for humanity. The deadline for the MDGs is upon us, and a new universal development agenda [SDGs] for the next 15 years will be adopted by world leaders in September’. The SDGs represent an opportunity to set renewed challenges and feasible goals in the progress towards eliminating poverty, inequity and preventable diseases everywhere, for everyone. Don’t let the SDGs become an empty acronym – civilian or health professional, be sure to follow coverage of this week’s summit, and help make these targets a promise that can be delivered on.